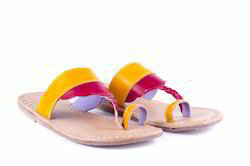 Our range of products include leather slippers, leather flats, vintage leather sandals, genuine leather slipper, ladies jutti and green leather slippers. 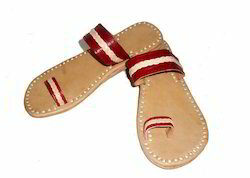 Owing to our expertise, we are engaged in manufacturing, exporting and supplying superior quality Leather Slippers. Give your feet a break with our range of comfortable leather slippers that are not only available in great designs but made using superior quality leather which is textured and polished for that appealing look. These slippers have a comfy and gripped sole that can be worn on hardwood floors or around the yard. Just wear them on and give your feet complete comfort and rest. The sizes and various colour options can be made available as per your requirement and you will never have to turn back for any complaints. An ultimate key to your comfort, these leather slippers are sure to have and can be made available from us within a stipulated time frame. 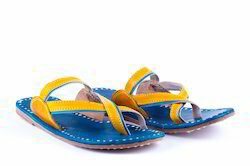 Unique colour Antique design sandal. Antique fitting comfortable everyday slipper,FlipFlop. Handmade Vintage Leather flats in a black colour with the fabulous design. A truly inspirational work from artisan, work full of art, handmade traditional pair of flats. Everyday casual wear with jeans, shorts, long dresses etc. 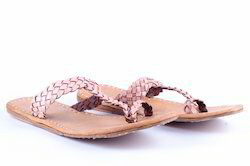 Leather Flats - Upper Jute, Sole and Bottom made from pure leather. Beautifully handmade, handstichted, handcut sole, 1cm heel. Very Comfortable pair. 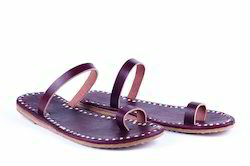 Hand-stitched traditional Leather Vintage Sandals. The colour of the sandals is vegetable tan. Handmade Pure Leather Pair for women. Made of Pure Leather, Very comfortable and easy to wear. These Slipper's are 100% Handmade. Vintage bohemian Leather flats. A truly inspirational work from artisan, work full of art, handmade traditional pair of flats. 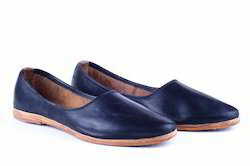 Leather Flats - Upper , Sole and Bottom made from pure leather. 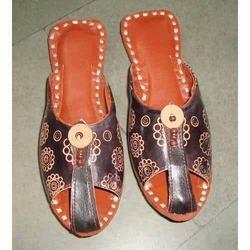 We offer wide range of Leather Slippers. A truly inspirational work from artisan, work full of art, handmade traditional pair of flats. Everyday casual wear with jeans, shorts, long dresses. 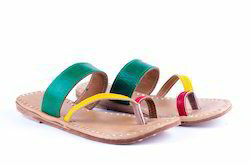 We offer wide range of Green Leather Slippers. 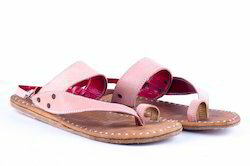 We offer wide range of Pink Leather Slippers. 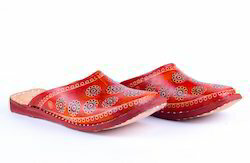 A totally Handmade Rajasthani Leather Slipper. Available in Different sizes, beautiful florescent hand colours has been done on them. All parts upper / bottom / sole are made of pure leather. These slippers are very comfortable to wear. These Slipper's are 100% Handmade. Vintage Leather flats in a coffee colour with the fabulous design. Handmade leather shoes, comfortable to wear. Hand stiched available in all sizes. 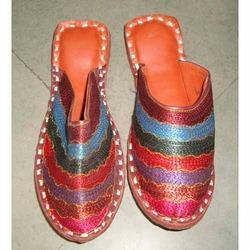 handmade Leather slippers made of a soft leather .Beaded in the style of tribal or indigenous cultures. Available in all women sizes. 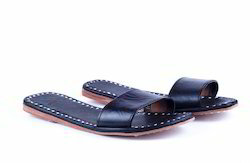 Leather slippers-Mule a style of shoe that is backless and often closed-toed. Comfortable handmade , vegetable coloured leather . Unisex available in all colours and sizes. Beutifully handcrafted and comfortable , cheap slippers. Vintage Leather flats. A truly inspirational work from artisan, work full of art, handmade traditional pair of flats.Everyday casual wear with jeans, shorts, long dresses. Leather slippers :vintage bohemian Leather flats. A truly inspirational work from artisan, work full of art, handmade traditional pair of flats.Everyday casual wear with jeans, shorts, long dresses.Leather Flats - Upper , Sole and Bottom made from pure leather. 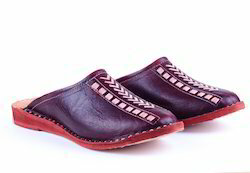 Hand-stitched traditional leather half shoe.Handmade Pure Leather Women Shoes best for Winter SeasonMade of Pure Leather, Very comfortable and easy to wear. 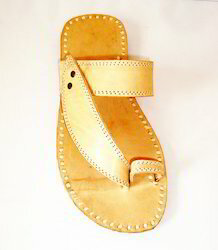 Hand-stitched traditional leather half shoe. Made of Pure Leather, Very comfortable and easy to wear. This antique shoes is a handmade traditional pair made of pure leather.A truly inspirational work from artisan ( total vintage artistic pair).Everyday casual wear for every garment.Very comfortable looking daily wearable shoes.Beautifully handmade perfect design and historical epic.Made up of by high quality double soft leather. 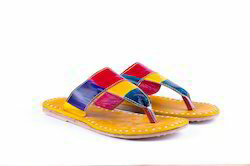 A pair of high quality,100% genuine leather sandalsYou can wear them all day, they are very comfortable Perfect for everyday adventures, beach, bridal, casuals A totally Handmade Rajasthani Leather Slipper.Available in Different sizes , beautiful florescent hand colours has been done on them . These slippers are very comfortable to wear .These Slipper's are 100% Handmade. 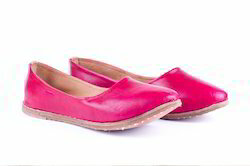 An amazing Pink color Handmade leather shoe made of high quality leather.This shoe will fit for all seasons and can be use as casual or fancy accessories and mainly use in winter seasons.Handmade traditional pair made of pure leather.A truly inspirational work from creator ( total artistic design ).Very comfortable looking daily wearable shoes. 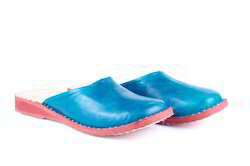 We are offering our customers a wide range of Ladies Leather Slippers. 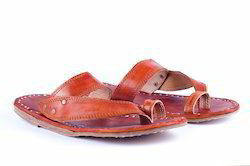 Leather slippers- Handmade from vegetable tan leather.